From 1991: one of the most underrated (and under the radar) adventure films of the Star Age... 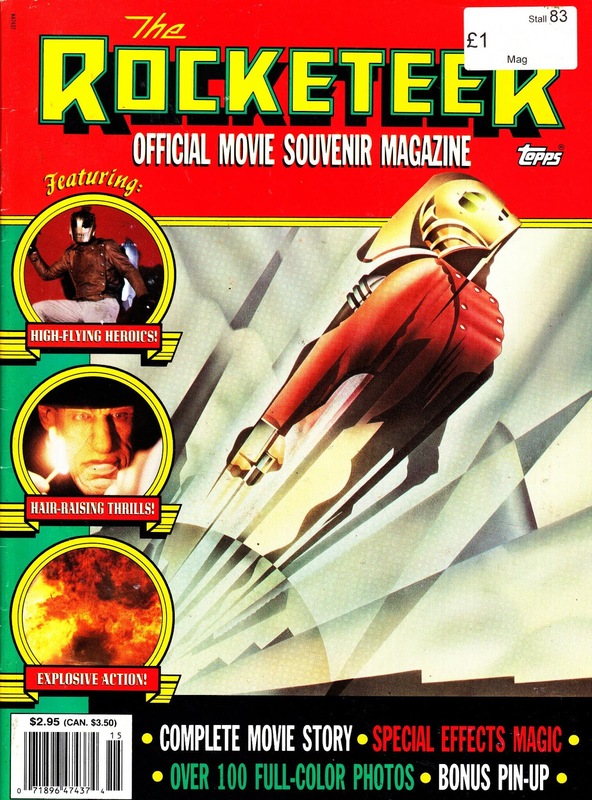 THE ROCKETEER. This is the OFFICIAL MOVIE SOUVENIR MAGAZINE issued by Topps to coincide with the theatrical release. Topps, the trading card folk, we're starting to leverage their card licenses to expand into publishing. A move that culminated in more magazines and the launch of the heavily movie-centric Topps Comics line. The film itself, based on Dave Stevens ode to KING OF THE ROCKET MEN and the other adventure serials familiar to anyone who grew up watching BBC ONE in the mornings or BBC TWO in the evenings, had all the hallmarks of being a winner ("the next Indiana Jones") but stalled in the shadow of TERMINATOR 2 and any talk of building a franchise quickly abandoned. It remains something of a lost classic and desperately in need of rediscovery. Not least for Timothy Dalton's turn as the villain. In fact, one writer suggested he should have been cast as a bond baddie instead of as bond himself ! Dalton has good form in the SF genre having appeared in FLASH GORDON, DR WHO ( as a timelord ) and currently in PENNY DREADFUL. Movie souvenir mags are as rare as hens teeth these days although there was one recently for CIVIL WAR.